R&B singer,Keisha Cole has been unlucky in love considering her track record of relationships that went bad.Recently separated from her husband, it was revealed that she is dating Birdman of Cash money records. 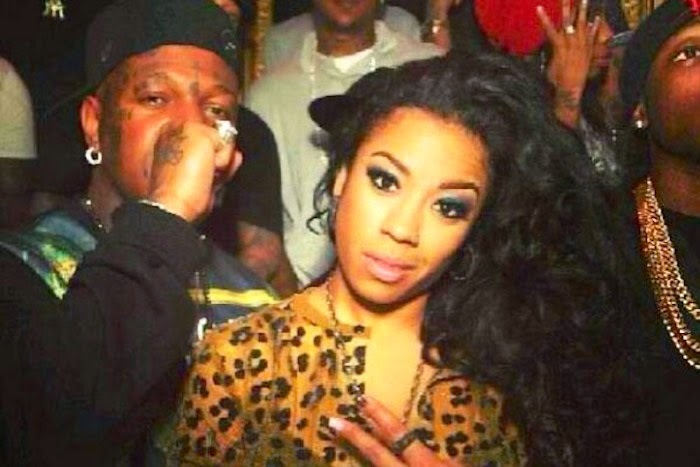 It was reported a while ago that the 'Heavensent' singer got involved in a fight with a lady at Birdman's house but but it was later discovered that the lady in question was actually just a Cash Money employee. Still, her trust issues with the relationship still lingers as she recently slammed the bald rapper on social media for trying to entice her back with money. It is interesting to know that 'cash money' can't buy love,after all.